We had a good Christmas at our house, visiting family and being visited. Christmas should be on Friday every year. It gives us a nice long lead-in to The Big Day followed by two days off right away. New Year’s is resolution time–the time we resolve to do things differently, to improve the parts of our life most meaningful to us. Even though we can start making positive changes at any time, January 1 makes nice separation between two golf seasons. We have enough time to wind down from one and get ready for the one to come. So here are my golf resolutions for 2010. 1. Play harder courses more often. Play courses that make me hit better shots, think more clearly, and have a tighter game overall. 2. Stop trying to improve my swing and just get better at repeating the one I have. 3. Talk to my pro to develop an overall improvement plan and take a lesson every two/three weeks to carry it out. 4. Enjoy the fun and fellowship more and get caught up less in making good scores. That last one might sound like a contradiction to the first three, but it’s not. 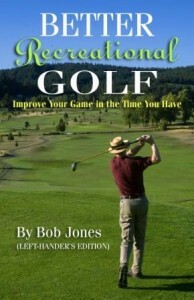 Since we spend so much of our precious leisure time playing golf, we might as well play it as well as we can. 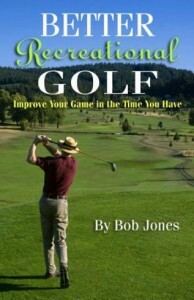 But golf is also our recreation, our relaxation, our sanctuary. We should certainly enjoy the good rounds, and resolve to improve our bad ones, but the most important skill is to come home happier than when we left. Thank you for following me in 2009. 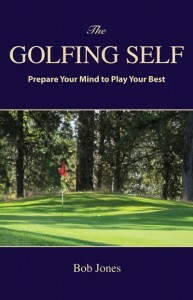 Be looking for the unveiling of therecreationalgolfer.com in March 2010.